With the holidays approaching, students tend to get a little obsessed. I mean, who isn't looking for a little brightness and cheer after the gray and brown month of November? I, for one, am already making a tremendous effort at this point not to say "I hate winter" every time I step outside. (You'd think I'd be tougher from my northern Minnesota childhood... but you'd be wrong). It's a challenge to keep everyone focused on their work in December, but harnessing the holidays to accomplish some of your curriculum goals can really help. Luckily for English teachers, the skills of speaking, writing, analyzing, and creating can be applied to plenty of holiday themes with no trouble. 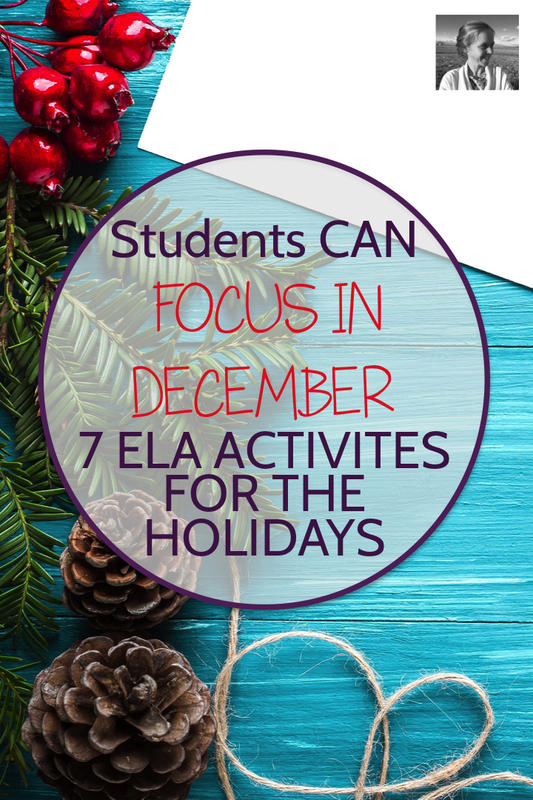 Here are seven ways you can incorporate a sprinkle of holiday fun into your ELA curriculum. Hop aboard the maker train and let your students make a gingerbread house to use as the setting for a piece of writing. 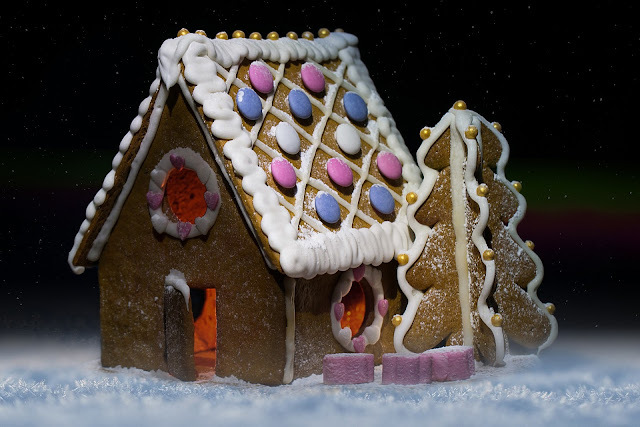 You can let them draw the gingerbread house, make it with a partner out of graham crackers, frosting and candy, or even build an amazing cookie one with the whole class helping out. Once they've got a house ready, challenge them to set a short story, film scene, or chapter of a novel inside it. Get the full details for this fun project as well as a prompt you can project in this post I wrote for you over at teachwriting.org. If you've got a spare couple of days at the end of your unit and you'd like to give kids a chance to see a holiday classic, but you don't want them to zone out and turn off their brains, try showing It's a Wonderful Life while having students create a guided one-pager for the film. 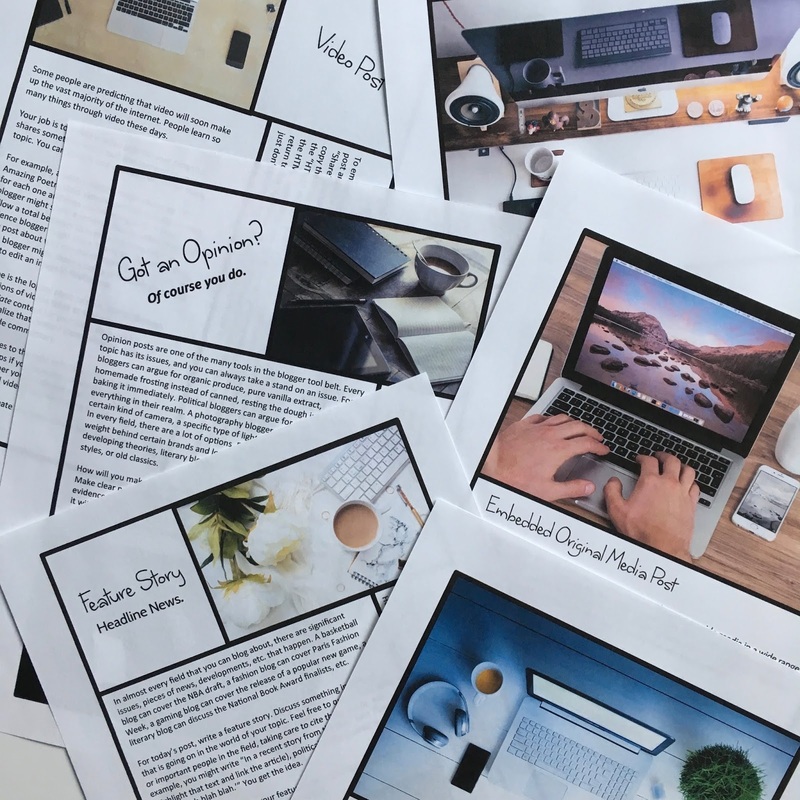 Let them know what elements to include in their one-pagers (key quotations, themes, character development, their personal rating and a defense for it, etc.) or pick up my activity for this film over on TPT. Partner with a teacher overseas for a holiday collaboration using this thread in my Facebook group, Creative High School English. Let your students share stories about the holiday traditions that are important to them with kids in another country. Encourage the use of sensory details, descriptive language, and lots of specifics. Your kids will hardly notice they're practicing their writing as they describe their holiday traditions for their new friends and look forward to getting responses back. Consider making your exchange digital, using Google Slides for each student to create a collage of stories and photos to share, or having everyone email you their work to send to your partner teacher for distribution. Postcards are fun too, but remember it may be well after the holidays by the time they arrive if they're going really far. If you've got an independent reading library, this is a great time to trot out your favorite holiday classics. There aren't as many famous holiday-themed books in reality as there are in my dreams, but I've found a few fun ones over the years, including Skipping Christmas, by John Grisham, and Knit the Season, by Kate Jacobs. Of course, A Christmas Carol is always a solid option too. You could also make your display about great books to read by the fire, holiday break reads that don't disappoint, etc. (By the way, if you've got a holiday favorite, please tell me in the comments! I'm always wishing for more holiday books to read and share). There are a lot of winners out there in the holiday children's books category. Take a look at a few in class, like The Grinch Stole Christmas, The Polar Express, Apple Tree Christmas, The Wild Christmas Reindeer, or Dream Snow. Then, let your students think about some aspect of the holidays they'd like to focus on and a message or idea worth sharing with younger kids. Let them brainstorm story ideas and sketch out a storyboard for their books. Depending on how much time you have, you could actually write full children's stories, illustrating them digitally or on paper. Just to give you a sense, these photos are from a children's book project I did focusing on environmental themes with my students once, which we illustrated digitally and self-published in the end with funding from our school. 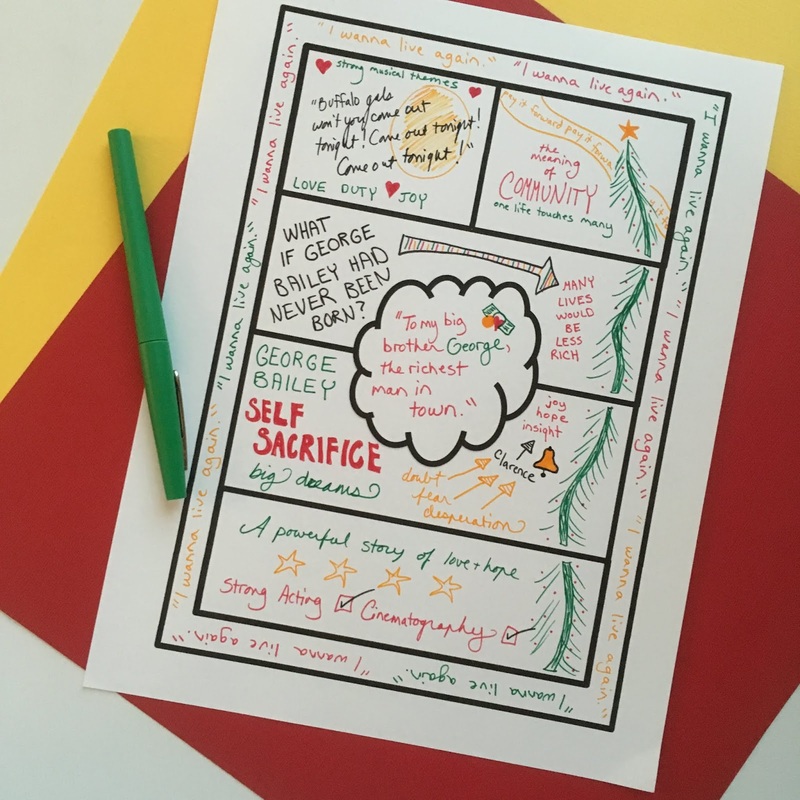 #6 New Year's Vision Boards and the Power of "Yet"
A few days ago I was trying to build an incredibly complicated paper airplane for my six-year-old son. It was rough going as I folded and refolded the same bit over and over. Anxiously peering over my shoulder, my son kept peppering me with questions and advice. "Can you just be quiet for a second, honey?" I finally asked. "I'm not very good at this." "Mom, this time it was YOU who forgot to say 'yet,'" he replied. I had to smile. I've been trying to convince him not to give up when something doesn't come naturally to him. So without actually bringing up growth mindset, I'm trying to teach him about it. The best way I've figured out is to add the word "yet" every time he expresses his frustration at not knowing something or not being able to do something. You can talk about this simple trick with your big kids too. 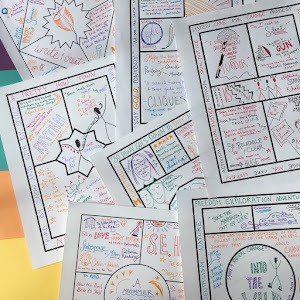 Spend some time at the end of the year with your students imagining the year to come. Talk about what they haven't done/made/considered/tried/seen YET and create a collage of words, ideas, and goals for the year to come. Put your vision boards up somewhere in the room on the last day of school before break, so you can be reminded as a community when the new year begins of what you hope to accomplish, individually and together. While this isn't automatically tied to the holidays, you COULD make implementing a two-week genius hour project your gift to your students. Let them dive into whatever interests them through a blog. They will be working on their research, writing, communication, and media skills whether they're blogging about fashion, video games, books, cooking, or whatever else holds their interest. Read all about how to do it in this blog post, A Beginner's Guide to Student Blogging. Are you feeling a little more excited about work in December now? I hope so! And if you're wishing you had a little more time to balance your holiday fun at home and your holiday projects at school, don't forget to visit my huge free curriculum resources page. You just might find exactly what you've been needing and free yourself up for an afternoon of ice skating or an evening at a holiday cookie exchange.